So you’re looking to do your downward facing dog and practice your prana breathing outside of your regular yoga studio? Why not push the envelope and go above and beyond with a yoga vacation in a place where nature is dramatic? Kenya is becoming one of the new places to be for yoga escapes and retreats. Why do you ask? 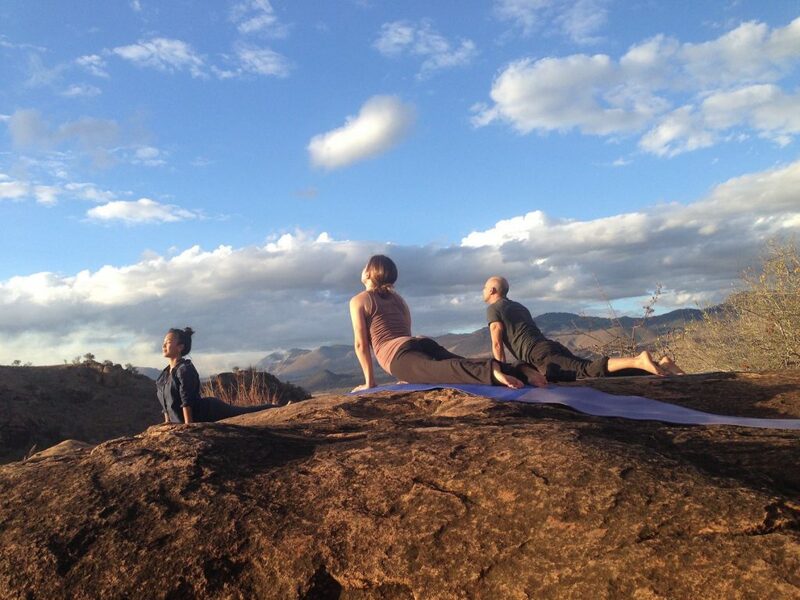 Read on to learn why you should get away for yoga in Kenya on your next retreat. Find yourself in the middle of a safari park at a game lodge where yoga and meditation courses are held daily in the great outdoors. Campi Ya Kanzi is a popular place for a yoga retreat where groups can lay their yoga mats on the mountaintops. There, you’ll meet other like-minded folks with a passion for nature, adventure and of course, yoga. Or for a smaller yoga gathering, you can check out scores of gaming lodges that have more intimate yoga courses. Part of being involved with the yoga community is being aware of your surroundings and giving back when you can. That’s why you should look into the Africa Yoga Project, an organization based in Kenya that teaches yoga, one community at a time. You can go on a teacher training for 200 hours before becoming certified. 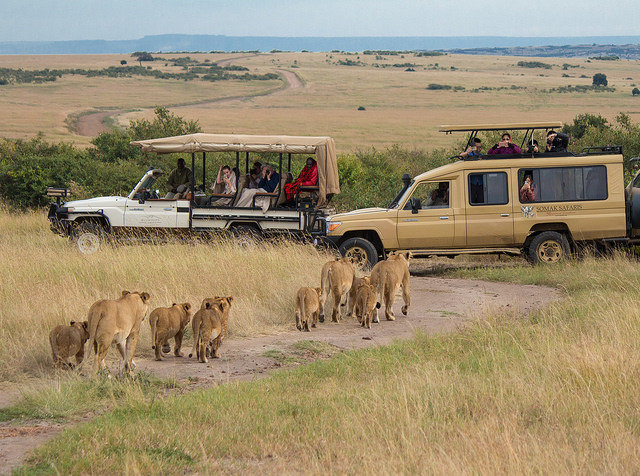 But if you don’t have the time to get certified in Kenya, you can opt for Seva Safaris, where a group of passionate yoga lovers go on several-day trips throughout the country, visiting safari parks, local communities, and doing yoga sessions in various spots across the beautiful land. Fees for joining the tour go to supporting locals and guests to teach youths to become yoga instructors. 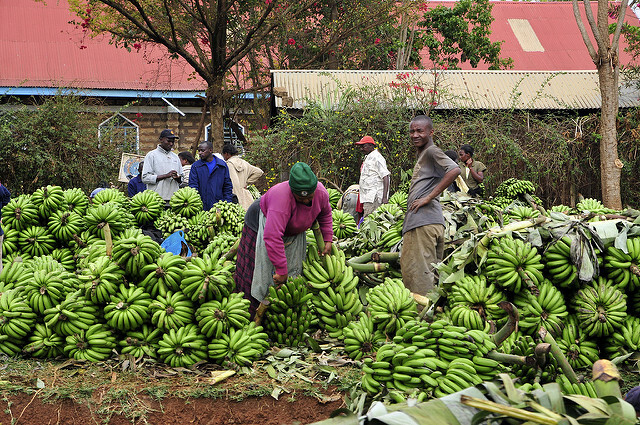 Kenya is known for its incredibly large fruits, vegetables and wholesome, unprocessed food — the perfect place for health freaks to try out new food. Whether dining at a restaurant in Nairobi or walking through a market place, expect an abundance of healthy meals and snacks readily available for you. Whether you’re a meat lovers, vegan, or raw foodist, you’ll find it easy to maintain your diet in Kenya. You can opt to do your meditation facing the ocean or neck deep in the wilderness, the scenery in Kenya is quite varied. Some yoga enthusiasts will prefer to do their exercises with their toes in the sand on a pristine beach, others prefer a high mountain while curious monkeys look on. Whatever you decide to go with, you can do it all in this country. A popular yoga retreat spot is Lamu Island in Kenya, a beautiful island accessible only by boat, surrounded by Islamic architecture and the atmosphere of a tropical island. Why not get in touch with Mother Earth and her creatures by doing a yoga retreat and a safari afterwards? In Kenya, it’s possible to enjoy a rejuvenating yoga session on a breezy hill before hopping on a jeep tour to see grazing giraffes, elephants, lions, zebras and more. Check with several national park and game lodges that offer both safari tours and yoga sessions to spice up your adventure. You can stay at luxury lodges or go camping at a no-frills campsite and do yoga during sunset as the red sun kisses the top of Mount Kenya.